Cragwood is a beautifully appointed bed and breakfast offering high quality accommodation in the stunningly located North Lakeland town of Keswick: a real home from home. 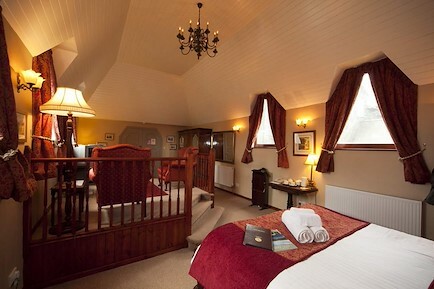 We have four tastefully decorated en-suite rooms, 2 with kingsize beds and two with double beds. it's only a 4-5 minute walk into Keswick town centre and Only 10 minutes down to Derwentwater. From our two kingsize rooms there are views of Latrigg and Skiddaw. Our double room Walla Cragg has views over the rooftops and the rugged Walla Cragg. A very warm welcome and scrummy breakfast using local ingredients awaits you. All rooms have flat screen TVs, tea & coffee , toiletries and towels. Theatre ticket discounts available. Cragwood is situated close to Keswick centre and the town parks. Only a 4-5 minute walk into town and 10 minutes to Derwentwater and the Theatre by the Lake. Your enquiry will be sent directly to Cragwood Guest House. Please fill in as much detail as you can.